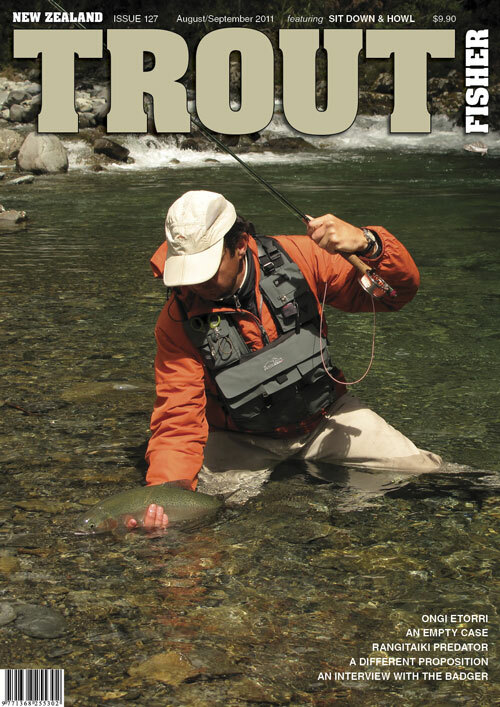 In the Taupo backcountry, in the illustrious company of the CDC guru Marc Petitjean and trout scientist Michel Dedual, Derek Grzelewski fights trophy rainbows and other demons. 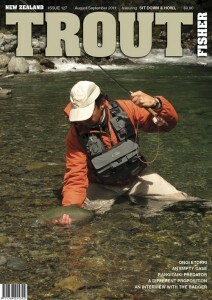 Have you ever been on a fishing trip, a long-planned and much anticipated, where nothing goes right for you? You arse up just stepping out of the helicopter and give yourself a good one on the shin. You promptly trump this with another act, stepping on the loose end of a vine with one foot, with the other tripping over the noose you’ve thus created. You want to break the fall with your hands but they are full of camping gear and heavy supermarket bags, and your backpack, well, it’s just big and inert enough to prevent a recovery. Your companions help you up and give you puzzled looks. And you too wonder: what’s going on? Is it just me or some nasty local taniwha who clearly does not want me here? Maybe it’s both because things get even worse. 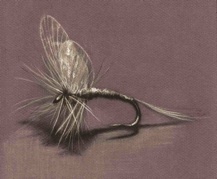 On the river, you tangle up, spook every trout you see, hook yourself with your own fly, the one you did not yet de-barb. By contrast, your companions are having time of their lives. 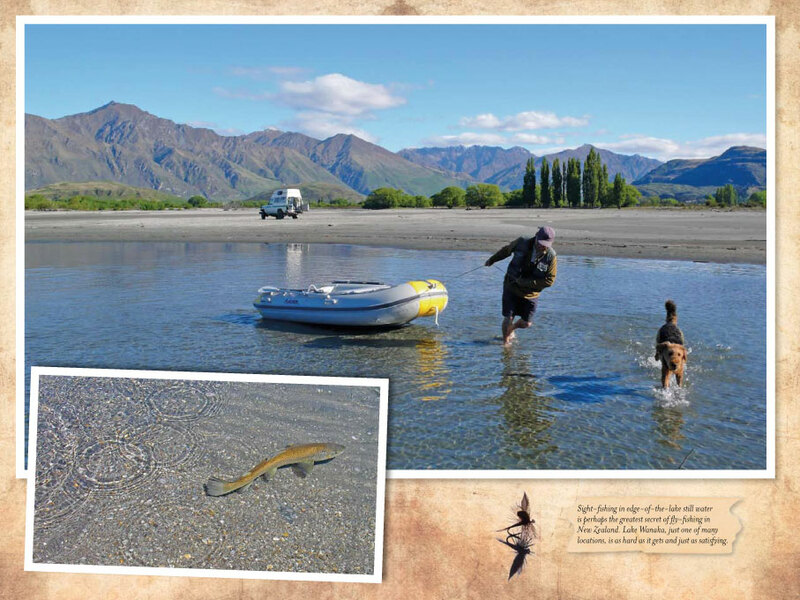 That first night in the headwaters of the Rangitikei, after we set up a camp in the forest clearing, Michel trotted off for an evening hunt and only minutes up the creek bagged a decent-size sika deer. 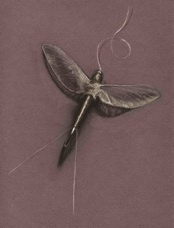 He brought it down, dressed and hung it from a tree, then, going down to the creek to wash his hands, he spotted a fish rising in the camp pool. He ran back for his rod and hooked the six-pound trout first cast. A pool below I was with Marc, watching him fight an equally magnificent rainbow. When the night fell all I had to show for was a limp, a grazed elbow, and an increasingly foul mood. But then we were back in the camp, the fire, wine and good food working their wizardry. I stared into the flames, sipping another glass of red and thought: “hey, anyone can have a false start, a bad day, and mine was just about over.” Earlier, I even spilled some wine on the ground, a peace offering to the taniwha, if there was one. I certainly did not want to fight it for another day. The upper Rangitikei, clear like spring water, snakes a contorted passage through the volcanic hills of the Kaimanawa Forest Park, east of the Tongariro. The fishing here is hard and honest, every fish a major victory, and that’s providing you are at your best, sharp and assertive. Tomorrow, I promised myself, was a tabula rasa I should fill with perfect casts and beautiful fish. No pratfalls and blunders. 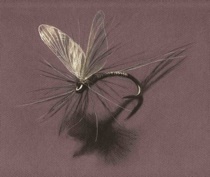 I fell asleep with the visions of rainbows racing each other for those beautiful CDC dries Marc was tying. Wise words but lost on me at the time. 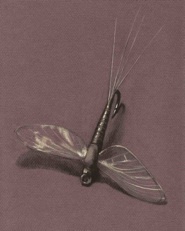 The creek was a perfect trout stream, a staircase of pools and riffles, defined and stable, remote and little known, brimming with potential and promise. 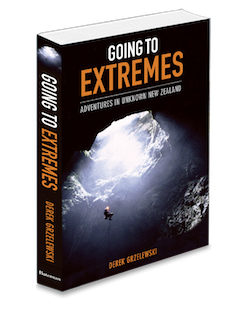 It cut deep into the Otago farmland, and the banks that framed it were like miniature escarpments. Sheep had worn tracks along both edges, affording easy walking and excellent vantage points from which to search the water. 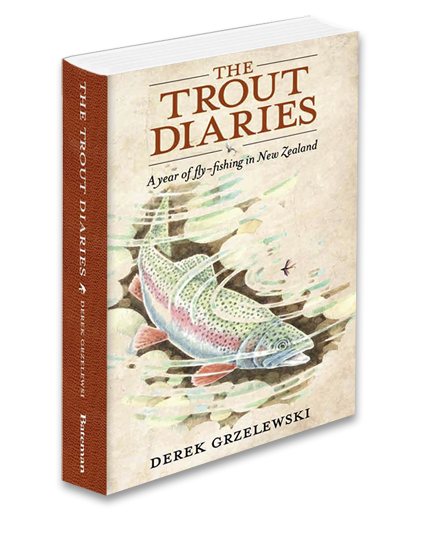 It was the kind of place where you’d expect trophy brown trout to be sitting high in the water in their prime lies, undisturbed and feeding eagerly. 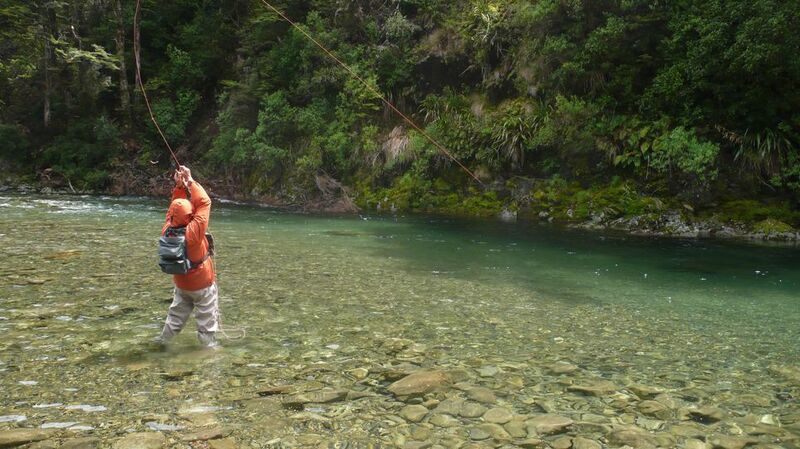 My angling compadre, David Lloyd, and I had never fished this creek before, but we were eager to explore new waters. 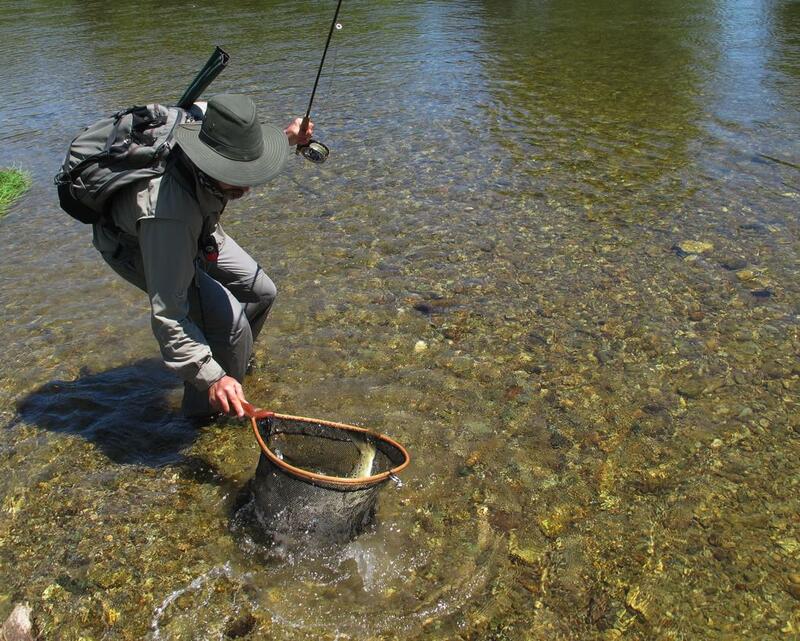 The past three days of our annual early-season pilgrimage had been the best we’d ever had on our favourite River X. The fish were active and plentiful, and almost embarrassingly easy in what is usually tough water. Each day had been better than the one before, and we knew we could not sustain this level of success. Our exceptionally good fortune would inevitably come to an end, so we decided to pocket our winnings and change venues, start afresh on new water, with a clean scoreboard and innocent hopes. The weather, too, was deteriorating. After nearly a week of sunshine, a slab of bruise-coloured clouds, heralding heavy rain and rivers in spate. This was the calm before the storm, surely our last day of fishing on this trip. Still, despite the heavy skies, this gem of a creek had us buzzing with anticipation. There had to be trout here, surely not as plentiful as in our River X, but that would be fine by us. We were after quality, not numbers. The creek was a dream and we were living it. It was only a matter of time, short time, before we found a feeding fish. We walked slowly, our eyes X-raying the water, following feedlines and the seams of colour change along the bottom, dissecting the fast broken riffles, looking for what David called the “soft shadowy shapes.” Our rods were rigged up for all possibilities, David’s with double nymphs and a white yarn indicator, mine with a light taper line and a dry fly, the first-choice Parachute Adams. The creek unfolded before us like a good tale, one turn at a time, and we had it to ourselves, all of it, all the way to the forest, a long day’s fishing away. 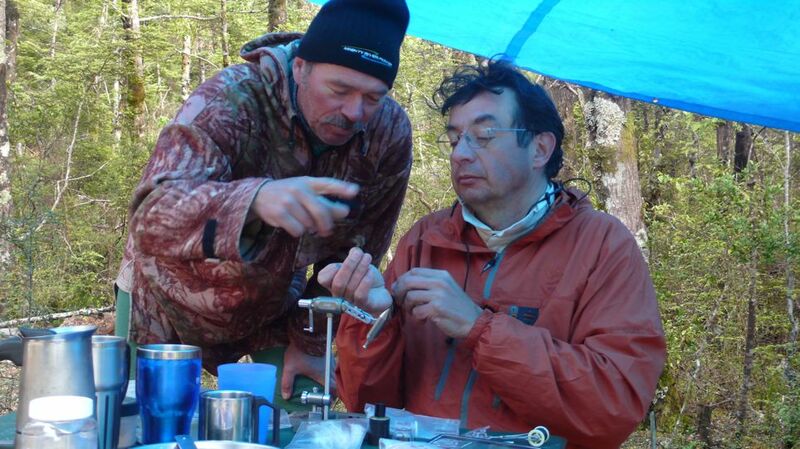 Our imaginations worked overtime, conjuring double-figure fish and screaming reels. Surely, if such things were to happen, this was the place and time. But strangely, we were not seeing fish. Not a single one. We were not spooking any, either, which was the more disturbing of the two. Hunters who are flushing out their quarry are at least getting close to it. They can hone their skills, walk more stealthily, look further ahead. But not seeing the quarry at all dilutes the concentration and makes the attention wonder. It also brings about a peculiar kind of heavy-hearted despair and doubt. Lots of doubt. Was it us or the fish? Were they simply not here, or were we not seeing them? Had someone fished the creek today already? Had the water been polluted by some upstream dairy farm, so that it only looked perfect but was in fact lifeless? In creeks like this it is unreasonable to expect fish in every pool. This kind of water falls into a category which the guidebooks describe with “long walks required between fish.” So we walked, and looked, hour after hour. We ate lunch in silence, sitting on a high bank overlooking yet another perfect pool, never taking our eyes off the water and never seeing a thing that even remotely looked like a trout. At times like these, you begin to think that, completely without reason and despite all past experiences, you are never going to catch another fish. Botched presentations, refusals and missed takes are all fine, part of the game. But not getting even a single opportunity for all the miles we’d already put in was just too disheartening. Especially on the water that promised so much. I was beginning to lose interest, walking faster and more carelessly, paying less and less attention to the water, which in sight-fishing is the beginning of the end. Then David grabbed my sleeve, his rod tip pointing up and across the creek to a feedline beneath the opposite bank. Hi everyone and welcome to my trout blog. 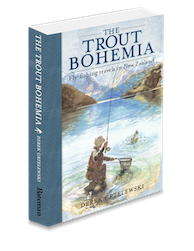 The Trout Bohemia, a follow-up book to The Trout Diaries is currently with the publishers and will be out in mid-2013. 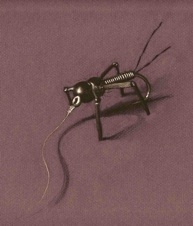 Here are a few illustration from the new book you may find of interest. You can get prints of these at Eve’s Art. 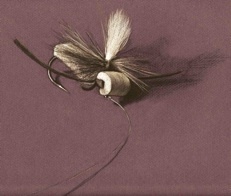 The first four flies are tied with Reel Wings, revolutionary wing material made by Joseph Ludkin in the UK. Have a good and happy new season!